The Raiders are bringing back one of their own, as reports say the team has come to terms with safety Michael Huff. Free agent safety Michael Huff has agreed to terms with the Oakland Raiders, a source tells ESPN NFL Insider Adam Schefter. 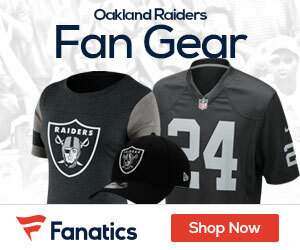 A little-known rule prevented the Raiders from re-signing the 28-year-old Huff last season, as much as they would have liked to, an NFL source told Schefter. Any player whose salary escalated at a higher rate than 30 percent from 2009 to 2010, as Huff’s and other players’ did, was precluded from signing a contract extension with his team, according to an NFL source. Huff was a dynamic safety at Texas who helped the Longhorns win the national championship. But he struggled at the start of his NFL career as he was forced to play out of position at strong safety, where he lacked the size to take on tight ends and offensive linemen.